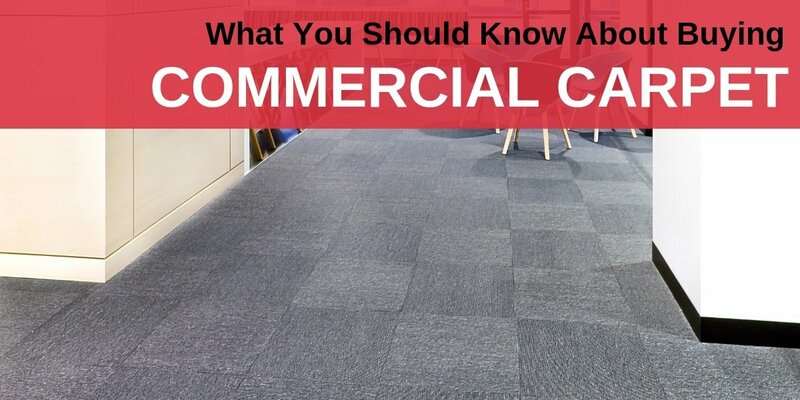 Commercial offices and buildings have a very different set of requirements to consider before selecting a carpet that works. While the wide variety of commercial spaces makes it important to consider your own business’s needs when buying carpet, there are two main considerations to keep in mind: budget, maintenance, and durability. While it is important to find a carpet that fits into your specific budget, it is also important to consider the long-term cost and longevity of the carpet you choose. Carpet, more so than other flooring options, will need to be replaced, and so you want to find a carpet that will help keep costs down in terms of maintenance and replacement costs. The most important consideration to keep in mind when selecting a carpet for your commercial area is its durability. Most commercial carpets are designed for heavy foot traffic. These carpets are designed to hold up well without staining, matting, or other forms of wear and tear. Commercial carpets are generally high density, low pile, looped carpet in a color that will help to hide dirt and stains. Commercial carpet should be easy to maintain. The best commercial carpet maintains its look with just routine vacuuming. Another popular option for commercial settings is carpet tile. Commercial carpet tile has the added benefit of being able to replace a single tile, rather than the whole floor. This combined with lower installation cost helps to keep cost down, while providing a longer lasting carpet option. When you buy commercial carpet for your business, budget, durability, and maintenance play a huge role in what carpet you ultimately decide. The decision process is different from residential purposes in that the aesthetics usually take a back seat when compared to other considerations. If you need help choosing the best commercial carpet for your business, stop by Carpet Depot and let us help you pick one that will meet your needs and budget.